Yesterday, I spent several hours cooking with a young friend of my niece. She is only 17, and has been told by her doctor to stop eating gluten. They also want her to eat only a small amount of dairy while they figure things out. So, because they have not eaten this way before, her mom wasn’t sure what to make, and she wasn’t either. So, she asked for a little help. I love to cook, and never eat wheat, so jumped all over the opportunity. The first thing we made was focaccia bread. The recipe was from a book called “The Gluten-Free Bible” that I’ve had for several years. 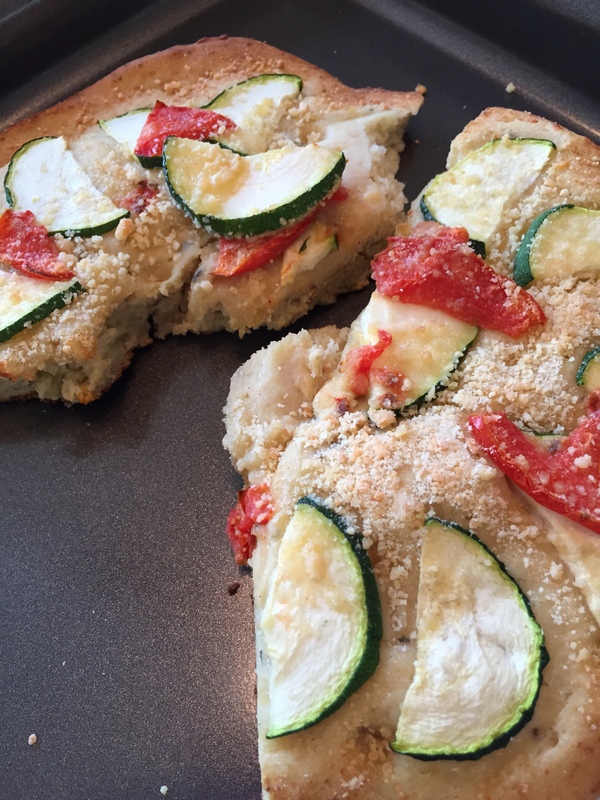 They have you put zucchini and tomatoes on top, and sprinkle with Parmesan cheese. She only put the tiniest bit of cheese on hers. I put too many toppings on mine and it was a bit moist under the zucchini, but still good. When I’ve made this in the past, I’ve focused on the cheese only, and have never put any tomatoes on it before. It came out great, and we each had one when we were done. We used the Pamela’s flour mix for bread for this one, and I sent enough home for her to make it again if she wants to. 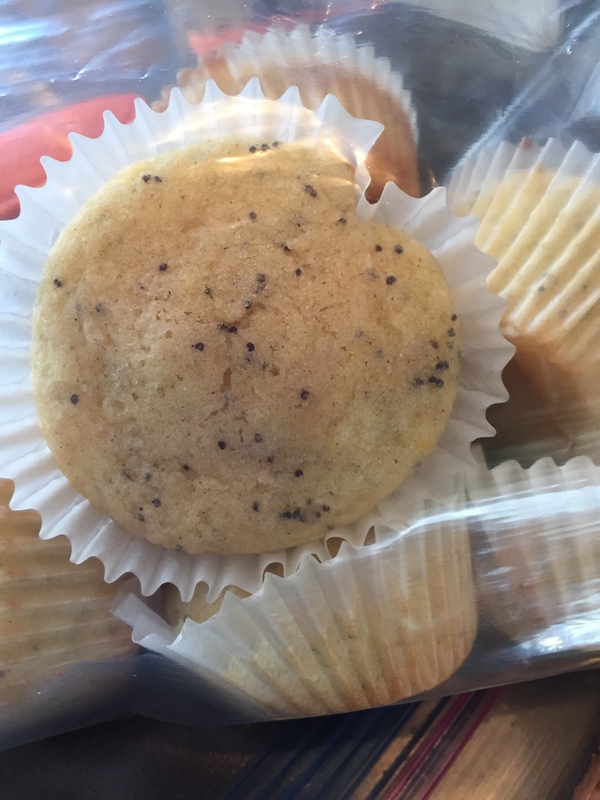 The second thing we made was lemon poppy-seed muffins, from the same cookbook. I’ve made them before, and they turned out great, as usual. We did not put glaze on them. For these muffins, we used the Bob’s Red Mill 1-1 gluten-free flour blend. Again, I sent home enough for her to make them again or to make another item. The third thing we made was cookies from Gluten-Free and More magazine. They were made using sunflower seed butter, cocoa powder, an egg, and some brown sugar. Yum! This was a new recipe that my friend had tried, and it was delicious, so I wanted to make it. Last, but not least, we made a masa crust for a taco pizza. I got this recipe from Eating Well magazine and tore it out a while back, but hadn’t tried it yet. Basically, we mixed the 1-1/2 cup masa flour with 2 eggs, 1/2 cup water, 1 tsp.garlic powder, 1 tsp. Chile powder, 1/2 tsp. salt and 1/2 cup green onions and patted it out on parchment paper. Then, we baked that at 400 degrees for 10 minutes. We fried up some hamburger with taco seasoning, and I took her home with her crust and taco burger and all her other food items from the day to eat as she wished. Later, at our house, Rob spread refried beans, the meat and cheese on ours and put it back into the oven until it was warm and the cheese was melted. Then, the recipe calls for taco toppings such as tomato, lettuce, salsa and avocado, but he just ate it plain. When I got home from my errands, I had some and it was extremely good, even warmed up in the microwave (even cold) and we will make it again. It was fun to try some new recipes with Kim. We talked about snacks that she could buy to take to school and how important it is to clean the counter of crumbs before she cooks and many other things. There are so many good options available now that there is no need for anyone to feel deprived, but it’s just a matter of figuring out what works for each individual. I anticipate that we may cook again another day! When the day was done, I loved that I had dinner for us, and some goodies for a few days. Now I’m on a roll and want to try some of the other recipes I found while planning for our cooking day. No worries….Easter is Sunday and I will cook a couple of things for that. My friend is GF and she loves Bisquiks GF mix. She uses it to make lots of goodies. That was very nice of you to have her over and help her. I had a lot of help when I first learned to cook this way..just paying it forward:). It is terribly overwhelming, and I remember it well–thinking I’d be ok to pick the toppings off pizza and just eat them..DID NOT WORK…got sick….not eating because I couldn’t figure out what to have at places….I’m glad I’m able to help someone else figure it out– that’s for sure! 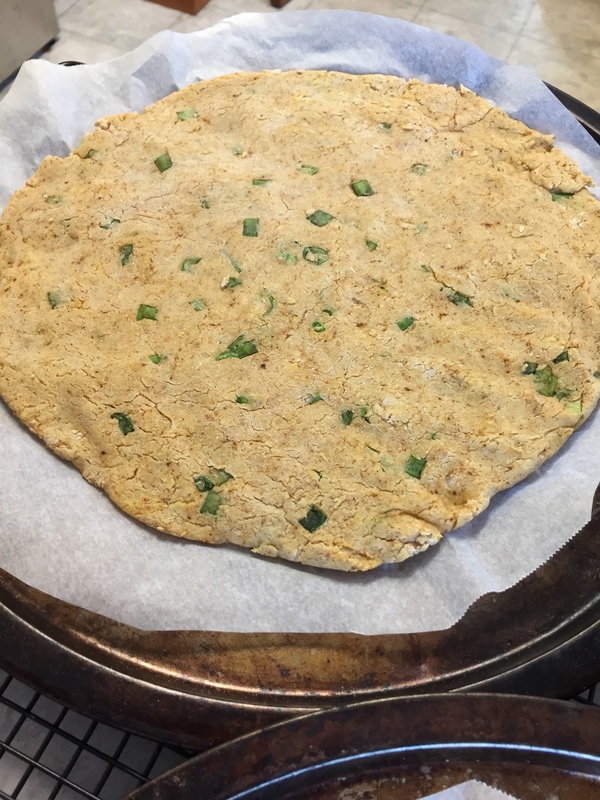 Thank you so much fro sharing the recipe for the masa crust. I will definitely give this one a try! I had it again for breakfast this morning, and it stored well. We didn’t put toppings on the whole thing–instead, people can add them after re-warming. So, the crust, beans, burger and cheese is what is storing well, and I’ll bet it would freeze well, too. I lov that you did this! What a help it would have been for our daughter to have someone to come along side and teach her. I am going to message her the link so she can see the taco pizza crust recipe. I don’t know if she can get masa in Germany though. I was amazed that I was able to buy the instant masa flour at Grocery Outlet–$2.79 for a large bag. I am just starting to experiment with it, since I found it! Our daughter used to make tortillas with it sometimes daily. Once she got a press and comfortable with it she could make them as fast as she could cook them on the stove top. It was very kind of you to help the young lady with showing her how to make gluten free meals, Becky. I’m sure she appreciated your help. If the young lady can eat rice, rice flour might be a gluten free alternative for her. We use rice flour in a lot of our dishes. I really liked the taco pizza with the masa crust. I ate it several times, and froze the last 2 small pieces for later. I know I’ll make it again before long, once this is gone. I kept my Instant Pot humming this week, cooking rice a couple of times, and make another thing or two. I have a few beets I want to cook in there tomorrow. 🦋 I’m wheat and citrus anaphylactic so I know how difficult it is to find ‘safe’ foods especially when I’m out. It does take patience and it does get easier. Thankfully, all I would be is very sick, but not dangerously. Just miserable. I’m sorry you get so sick from wheat and citrus. The more things that give you trouble, the harder it is to eat anywhere but home! My gluten-free sister and I went to Disneyland once, years ago. It was when gluten-free was just getting to be a little more mainstream, and they pampered us, cooking us meals to order with chefs coming out to speak to us and make sure it was how we needed it cooked. 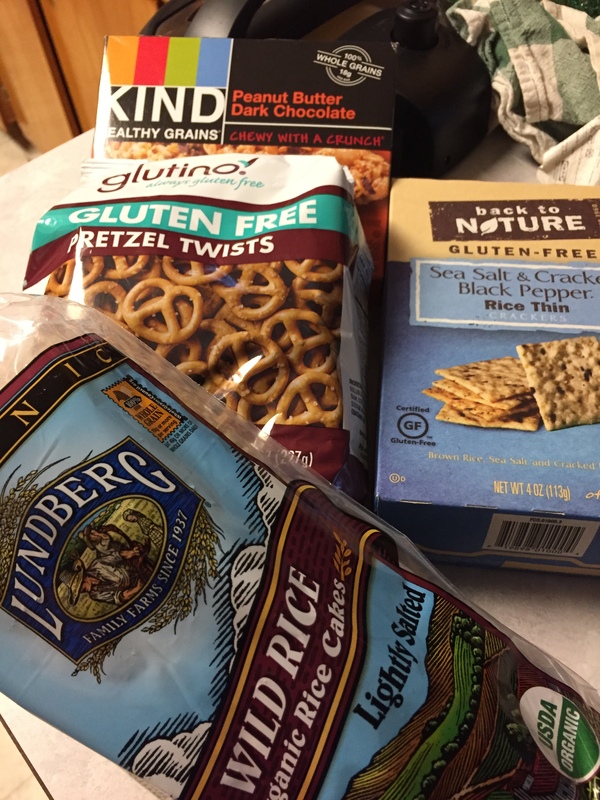 My daughter is dairy free and has many other allergies. We would say “she would like a meal that is dairy free, onion, blackberry, watermelon and garlic free. I would like gluten-free. And, we want to share.” The rose to the occasion every time. It was amazing! On our way home, I asked for a gluten-free option in a restaurant, and they threw a book at me and told me to read it and choose what I wanted. I looked at my sister and daughter and said, “We are not in Disneyland anymore!” So funny! But, you are right. It gets easier as the years pass, but I still eat at home the most. Most places are happy to talk through the menu but we still come across some places that can be down right rude.